Growth in global output accelerated a bit in November, as seen from the JPMorgan Global Composite Purchasing Managers’ Index (PMI), which includes both manufacturing and services. The composite index improved despite global manufacturing remaining in contractionary territory, thanks to the resilience of the services sector. The bright spots were the US and Russia. China and the euro zone saw contractions in their economies. 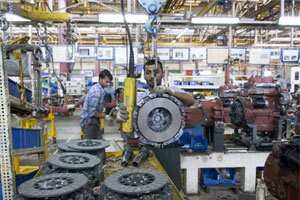 In India, the services sector saw a rebound.